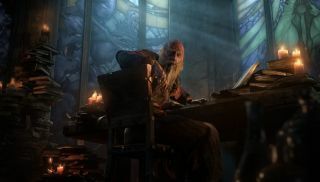 Diablo III's first major post-2.0 patch releases today. As with other patches, 2.1.0 adds new things. But which new things? It's a question we've already answered , but should reading words be a torment on your very being—to the point where this sentence, in all its selfish continuing, causes tears to run unbidden into your screaming cheeks—then Blizzard have made a video. Watch that instead. See the full patch notes here .